As mentioned frequently, the most popular local dive spot here is Lake Tahoe. We dive others fairly frequently as well, like Donner Lake, Pyramid Lake (although I personally find Pyramid creepy), and if the planets align and we get ice, several smaller lakes come into play. What they all have in common, even in the Summer, is cold water. A typical Summer deep dive will generally be 38 to 40 degrees past 150-175 feet. In the Winter, it’s that cold all the way from the surface. In reality, cold water isn’t as uncomfortable as it sounds. Lofty undergarments like the Fourth Element Halo 3D, and argon inflation systems make diving in extreme cold, not only possible, but fun. But, the same dry suit underwear that keeps you warm also makes you buoyant. It’s not unusual for divers to carry 40 pounds of additional weight just to dive neutral. And that’s the issue. Weight placement is at least as important as the amount of weight. It is why steel tanks are almost considered mandatory for cold water, and the reason most cold water divers choose stainless steel for their back plates. If you dive a traditional BCD, this article doesn’t apply. If you are thinking of making a switch, or simply wish to learn about new ways of doing things, please read on. I’m a gear hound. As a technical diver, you pretty much have to be. So, among multiple sets of doubles, deco bottles, argon bottles, dry suits, scores of regulators, reels, bags, SMBs, wings and all the rest, I am the proud owner of five backplates. I learned of the SubGravity 6mm plate about a year ago, but considering that I already had 3 stainless steel backplates, I just couldn’t justify $200 for yet another one. Like all gear junkies, given enough time, I can justify any purchase. I bought the SubGravity plate a few weeks ago and finally got to dive with it over the weekend. 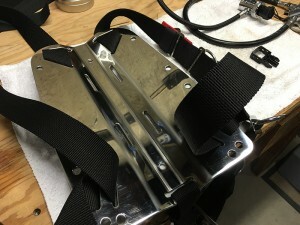 Before I get into the dive, let me provide my thoughts about the backplate itself. It should go without saying that the SubGravity 6mm backplate is heavy–10.1 pounds to be exact. I assume anyone considering such a backplate would be aware of the weight. After all, that’s the point. 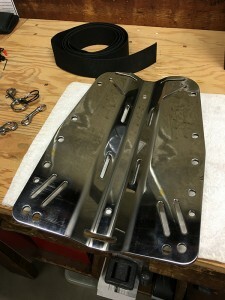 Most stainless steel backplates weigh 5.5 to 6 pounds (aluminum plates weigh in around 2 pounds). More on that later. Aside from the obvious weight difference, the plate is gorgeous. 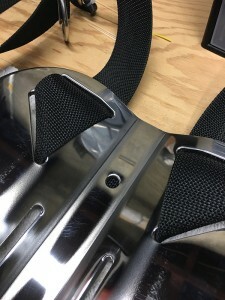 The shape is similar to OMS (about 3/8″ narrower than OMS) and Hollis backplates, and it is polished to a mirror finish. That’s different than OMS plates, which are passivated, a process that removes iron from its surface, thus minimizing corrosion. Like the OMS backplate, the SubGravity plate is made using 316 stainless steel. Many backplates use 304 stainless, which is not technically marine grade, although it is very common. I probably never will know whether polishing or passivation is more resistant to corrosion, because I am meticulous about gear maintenance. In other words, I break down my gear and rinse it before putting it away dry. I DO know that, used in salt water, 304 stainless will likely show rust spots eventually. Put simply, 316 grade stainless steel is the better, and more expensive, material for manufacturing backplates for scuba diving. The channel depth and the angle of the bend is very similar to OMS and Hollis as well. 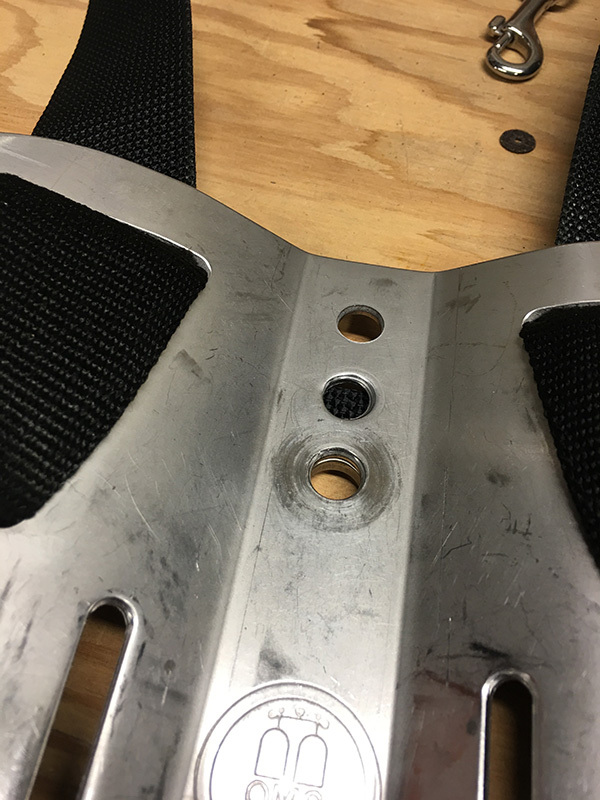 Compared to a flatter a backplate like Dive Rite, for example, The SubGravity plate will help position wing nuts farther from your spine. For most divers it is a non-issue. Personally, I use a nylon washer and a regular nut. It isn’t as handy, but lower profile. Something I noticed immediately is SubGravity bevels the edges of every hole and slot. This should minimize the tendency for the plate cutting into your harness webbing. It also looks nice. Finally, hole placement is different than most other plates. There is the usual array of holes around the edge, but only one set of mounting holes. Most backplates these days use 2 to 3 top holes and a matching set or slot centered at 11 inches toward the bottom. The SubGravity hole position happens to match that of the bottom hole drilled in OMS backplates. This happens to be the hole I use, so I personally like it that way. If you position your plate differently, you’ll need to make adjustments or find a machinist to drill a new set. It’s also two holes, not a hole and a slot, so 11 inches means eleven inches. 3/8″ threaded rod is an exact fit, so if you are even a fraction off, you’ll need to adjust a tank band. If you are unsure how to do so safely, have your local dive shop take care of that for you. Aside from that, there is nothing unusual or gimmicky about the SubGravity backplate. Honestly, I think it is the best backplate I’ve had personal experience with. By now, I’ve handled most of them, and dived a lot of different ones. In some ways, it is a moot point because very few manufacturers make a 6mm backplate. But, since I had to drop $200 to get one, I’m glad it’s truly a work of art. Since the shape and hole placement is similar to my OMS plates, the only real difference in the water was not having to find a place for those 4 extra pounds. For me, those 4 pounds are a big deal. For big doubles like my 95s or 112s, I can eliminate all additional weight. With Faber LP85s, I can get 4 pounds between the tanks, but still need to pocket an additional 4 pounds. That will no longer be necessary, which frees critical space around my waist. That means less clutter and space available for small pocket or nothing at all. 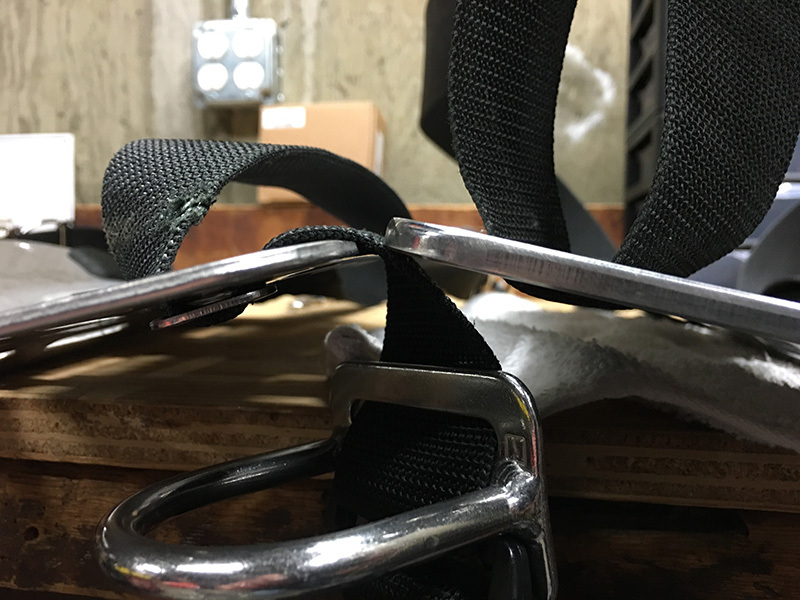 In technical diving simpler is almost always better, and for most divers moving that weight higher up leads to better trim. With this setup, I can easily hold shallow deco stops. I took my doubles all the way down to 200psi. I already know I can hold shallow stops with up to 4 deco bottles down around 500psi. With the new plate, the amount of weight hasn’t changed, just the distribution. The bottom line is SubGravity makes a beautiful backplate. For me 4 pounds made a giant impact on how I am able to configure my kit. Also, let me point out I’m talking about technical diving here. I would never advocate the elimination of ditch-able weight for recreational divers. Anyway, if you are in a similar situation to mine, I think you’ll love the SubGravity 6mm plate as much as I do. This entry was posted in New Dive Gear, SCUBA Gear Reviews, Technical Diving and tagged backplate, diving equipment, drysuit, lake tahoe diving, tec gear, tech gear, technical diving.